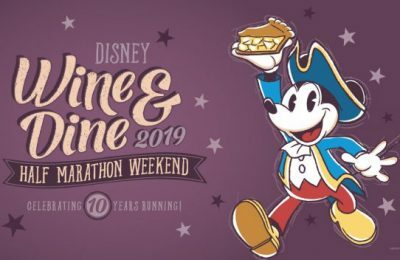 Runners from across the nation and around the world are preparing for runDisney’s Wine & Dine Half Marathon Weekend at Walt Disney World. This year’s race travel-themed medals were inspired by elements from the upcoming Epcot International Food & Wine Festival. Designs include a luggage tag, a plane ticket, and a passport. 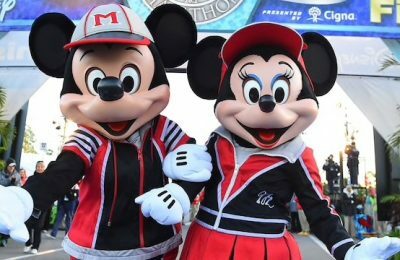 The Wine & Dine Half Marathon Weekend will kick off on Friday, November3rd with the Disney Fall Fest 5k. The 5k medal features a fall-like festive theme. Following the 5k, the 10k will take place on Saturday, November 4th. 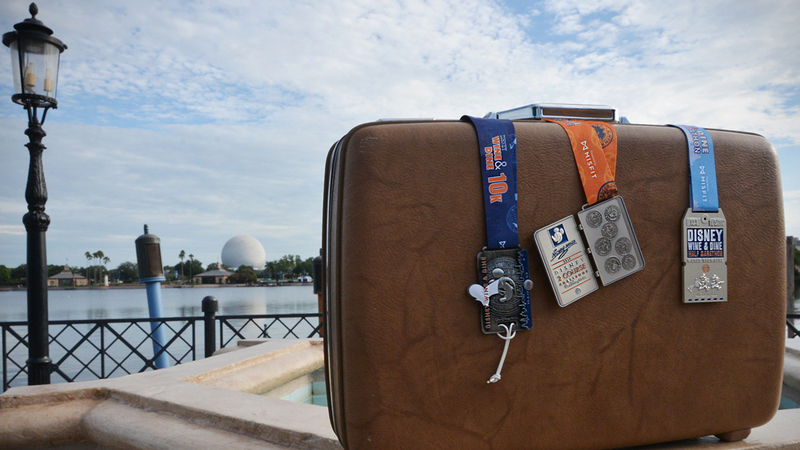 It features a luggage-style tag as runners will embark on a trip around World Showcase at Epcot. Following the 10k is the Half Marathon. The Half Marathon will take place Sunday, November 5th. This medal features a plane-ticket style medal. Runners who complete the two course challenge, which features the 10k and the Half Marathon – a total of 19.3 miles, will also have a passport themed medal waiting for them at the finish line. The medal features the Epcot center logo on the front and stamps from several countries within the World Showcase. And finally, young runners who participate in the kids races will also receive a medal with Figment featured. Wine & Dine Half Marathon Weekend also includes an Expo at ESPN’s Sport Complex where runners are required to visit to pick up their bib. The Expo features several vendors as well as the official runDisney shop. The Expo will take place from November 2nd through November 4th. Registration is still open for the kids races, the 10k, Half Marathon, and the two course challenge. 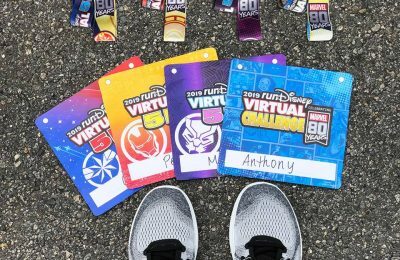 To register, be sure to visit runDisney’s official website by clicking here.